Most hated team besides Dodgers? Re: Most hated team besides Dodgers? Don't really have a most-hated NHL team, though the Anaheim Ducks irritate me on aesthetic grounds. The Phillies don't bother me as much as they would had SF lost to them in 2010. But SF didn't lose to them. Instead, SF destroyed their dreams. So we've got that. Which is nice. I agree with this list. I also don't like the Cubs and Padres. Dodgers are the worst, though. Of course. ATL hasn't won a postseason series since 2001 and hasn't been in SF's division for nearly 20 years. SF has beaten them the only two times they met in postseason, and I don't live in GA anymore. So I'm dropping the Braves from my list above and holding tryouts this upcoming year for baseball team most hated other than the Dodgers. 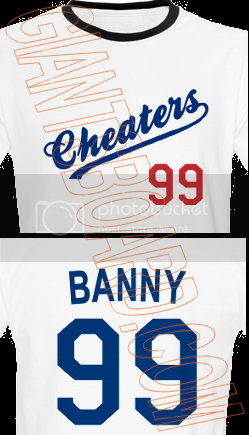 Might go purist and just leave it at LA, now that they seem certain to be not only Dodgers, but Steinbrenner Dodgers. I'm not certain I HATE any MLB franchise beyond the Dodgers. I do have a strong dislike for the Marlins. 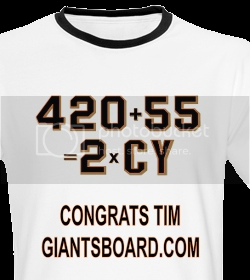 Business practices aside, they knocked the Giants out of the playoffs in 1997 and 2003, going on to win rings in both years. That's enough for me. I dislike the Braves, principally because looking at them is like looking in the mirror. I resent the Cardinals because they're so consistently successful. I'm jealous of the Nationals, because they were able to acquire Strasburg and Harper in such a short period of time. I'm annoyed by the Rockies, because they play in an atmospheric environment unlike any other franchise, and because they couldn't win a single freaking game against the Braves in 1993. Beyond [sign in to see URL]'m just "meh" regarding the rest of the NL. The AL? Since they play a bastardized version of the game, I don't even generally think of them. Hey! The Junior Circuit objects to your objection! I hate the DH as much as the next person, but it appears that it's going to be around for awhile. I hate the DH as much as the next person, but it appears that it's going to be around for awhile." I'm grateful the DH hasn't been allowed to infect the NL. The DH makes it a significantly different game, and it would piss me off big time if were imposed on the Giants. While I appreciate the talent in the AL, I don't really enjoy watching the games as much. Less strategy, more offense, less bullpen impact. It's just not as interesting to me.